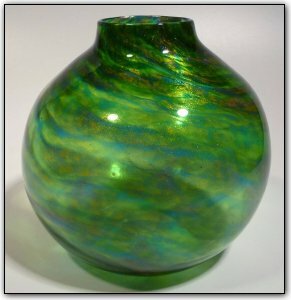 This unique round bowl features a beautiful combination of greens and blues swirling throughout and mixing together. It also has real gold adventurine added for that extra gold sparkle. The more light you shine on it.. the more it will sparkle!